Check out Tobi's Cosette Off Shoulder Bodysuit Ready for anything in the Cosette Off Shoulder Black Bodysuit. This bardot bodysuit features long tight sleeves, off the shoulder neckline, and a fitted construction. This one-piece bodysuit puts you that much closer to sun-kissed shoulders and we are all for it. Ready for anything in the Cosette Off Shoulder Taupe Bodysuit. 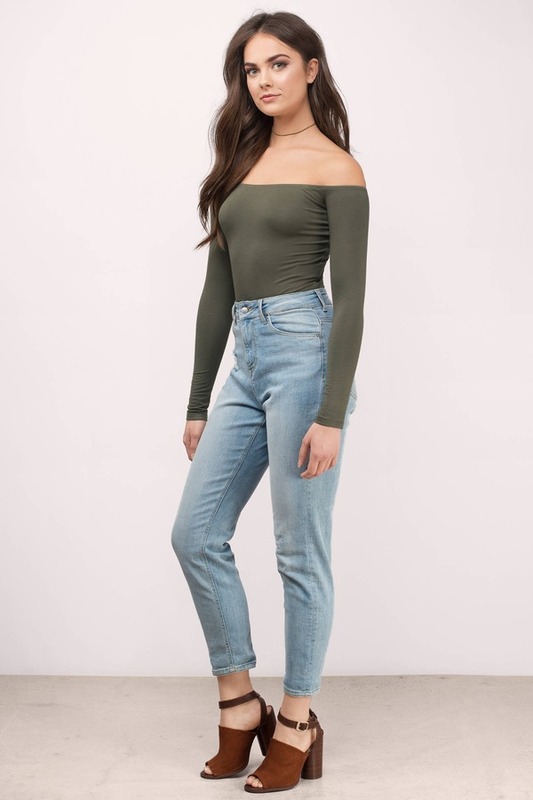 This bardot bodysuit features long tight sleeves, off the shoulder neckline, and a fitted construction. This one-piece bodysuit puts you that much closer to sun-kissed shoulders and we are all for it. 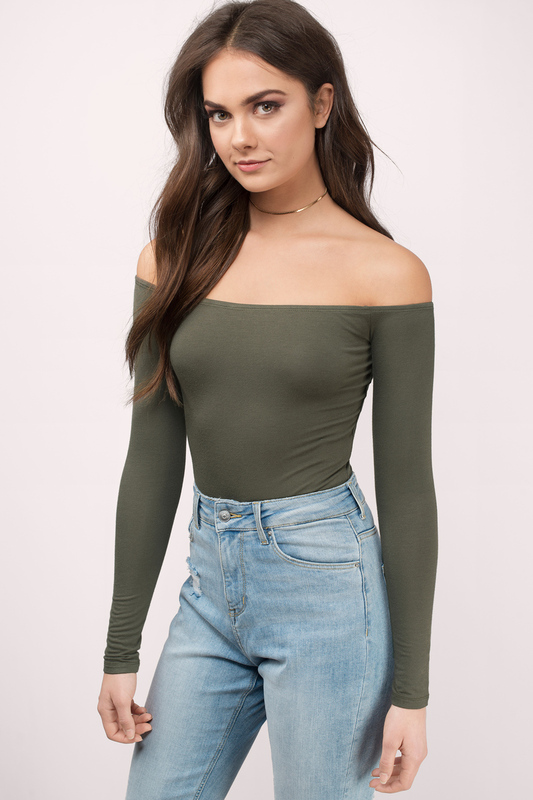 Ready for anything in the Cosette Off Shoulder Olive Bodysuit. This bardot bodysuit features long tight sleeves, off the shoulder neckline, and a fitted construction. This one-piece bodysuit puts you that much closer to sun-kissed shoulders and we are all for it. Ready for anything in the Cosette Off Shoulder Wine Bodysuit. This bardot bodysuit features long tight sleeves, off the shoulder neckline, and a fitted construction. This one-piece bodysuit puts you that much closer to sun-kissed shoulders and we are all for it. Ready for anything in the Cosette Off Shoulder Ivory Bodysuit. This bardot bodysuit features long tight sleeves, off the shoulder neckline, and a fitted construction. This one-piece bodysuit puts you that much closer to sun-kissed shoulders and we are all for it. Ready for anything in the Cosette Off Shoulder Black Bodysuit. 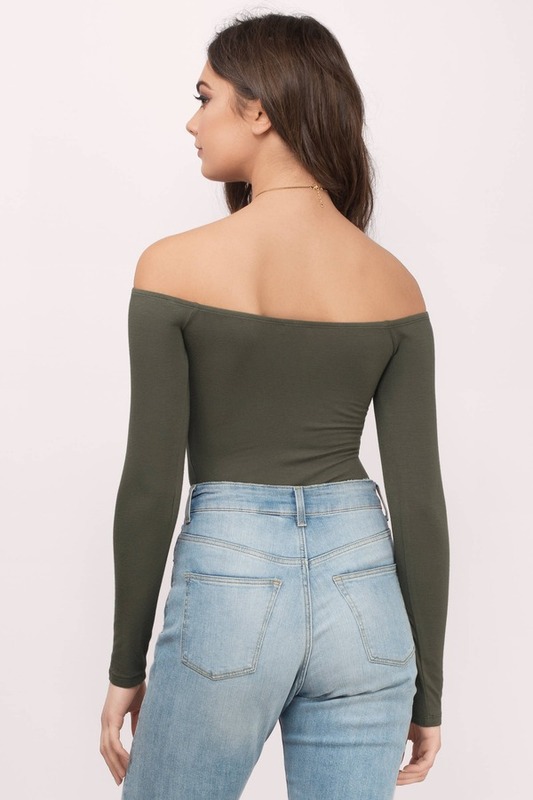 This bardot bodysuit features long tight sleeves, off the shoulder neckline, and a fitted construction. This one-piece bodysuit puts you that much closer to sun-kissed shoulders and we are all for it. Ready for anything in the Cosette Off Shoulder Silver Bodysuit. 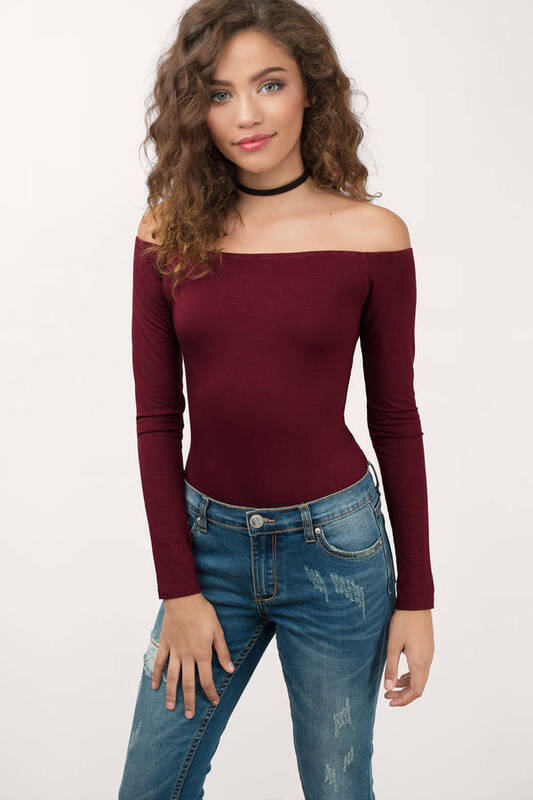 This bardot bodysuit features long tight sleeves, off the shoulder neckline, and a fitted construction. This one-piece bodysuit puts you that much closer to sun-kissed shoulders and we are all for it. Silver modeled on a size Small. Model's profile: height 5'11", bust 34", waist 25"
Black, Ivory, Taupe modeled on a size Small.